This awful news qualifies as one of most disturbing Los Angeles DUI stories of the year: a 16-year-old girl died over the weekend, after a suspected DUI driver smashed into her Palmdale apartment complex. 16-year-old Giselle Mendoza had attended Palmdale High School. 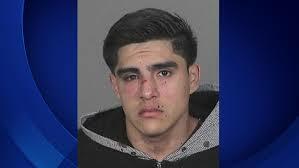 Her father, Alberto Mendoza, was inconsolable – calling himself “destroyed.” Meanwhile, 20-year-old Roberto Rodriguez – also of Palmdale – has been arrested on suspicion DUI. The powerful emotions that follow a DUI accident in which someone dies can lead to unbelievable amounts of grief, confusion, and frustration on both sides of the equation. It’s easy for people to jump to conclusions about who caused the accident and why and what should be done. However, it’s critical to conduct a sober assessment of the facts. Prosecutors can choose from an array of charges in DUI accidents that lead to injury or death. A typical non-injury DUI might be charged per California Vehicle Code Section 23152. An injury DUI, on the other hand, might be charged per CVC 23153. The difference between these codes is not just one number – it’s the difference between a misdemeanor and a felony. If someone dies in an accident in which DUI is suspected, prosecutors can seek vehicular manslaughter charges. There are different grades of this charge, as well. “Gross vehicular manslaughter while intoxicated” is defined by California Penal Code Section 191.5 (a). Prosecutors face a very stiff burden of proof in such cases, but the punishments can be comparably severe. Depending on what happened, the offender can face anywhere from probation to 10 years behind bars in a California prison for every person who died in the crash. To construct an appropriate defense to your charges, contact a Los Angeles DUI criminal defense attorney at the Kraut Law Group today to schedule a free consultation with a former prosecutor and Harvard Law School educated attorney.